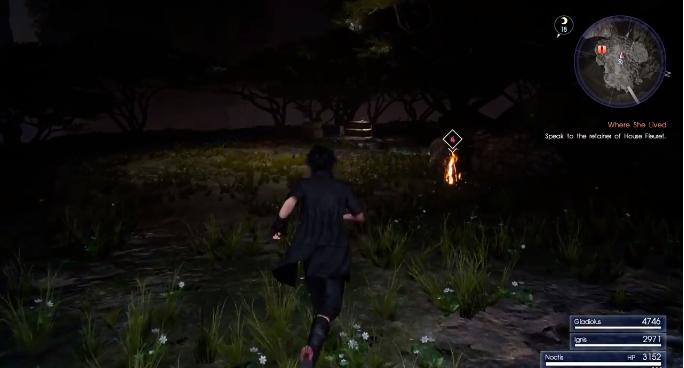 This page contains a detailed walkthrough of Chapter 12 – End of Days in Final Fantasy XV, including quests, objectives, items, enemies and bosses encountered in the game. The chapter begins with Noctis contacting Ignis about Prompto who he unintentionally pushed off the train. 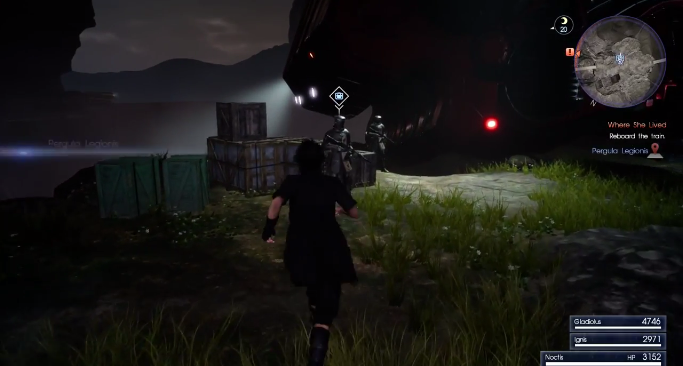 Frantic and on the brink of hysteria, he implores Ignis to help stop the train and go back for Prompto. Ignis suggests that stopping the train would only endanger the passengers on board and that they should first regroup before deciding on their next move. Once the train enters the tunnel, you will be ambushed by a gargoyle and three snagas. After you clear them, head further on the train. Another group consisting of the same enemies as before will appear again. Take them out and proceed further. After a while, three snagas will ambush you so deal with them quickly. Proceed further on the train. You will then reach a point where you have to hold out until the train clears the tunnel. During this time, more enemies will appear (a gargoyle and snaggas). When the train exits the tunnel, a cutscene will ensue. 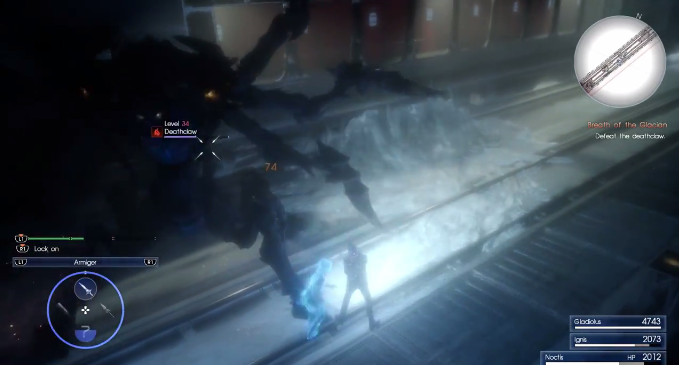 It will show arachnae daemons climbing on the train. Leviathan will then appear and summon torrents of water to attack the daemons in the area. This concludes the quest. The party, save for Prompto, will then be reunited when the train arrives at Tenebrae. You will meet also meet Aranaea there again. She asks you to come with her to get to the bottom of what has happened on the train. Follow Aranaea out of the station and down some stairs. Make a right before going down the next set of stairs to find 1x Flesh Fortifier. Follow Aranaea until you meet up with Biggs and Wedge. Aranaea will ask them to help the party out by driving the train to Gralea. Afterwards, talk to Biggs. He’ll tell you to prepare for the trip ahead and talk to him again when you’re ready to set out. He’ll also mention a woman who served in House Fleuret and is looking for Noctis. From here, you’ll need to look for the woman. Before you look for the woman, you can take the time to explore the area. There will be an item shop at an area before where you talked to Biggs and Wedge. Note that the item shop is manned by an Imperial Soldier. Stock up on healing items here if you’re running low on them. After talking to Biggs, follow the quest marker and look for the woman. After crossing the bridge path, there will be an elemental deposit, so be sure to absorb it. Afterwards, go the quest marker where an old woman will be standing. The old woman introduces herself as Maria, a retainer serving House Fleuret. She is glad to see Noctis grown up and asks about the Ring of Lucis which Noctis has kept safe. A cutscene will then begin. The cutscene shows Lunafreya and Ravus in a room. Lunafreya begs Ravus to deliver the Ring of Lucis to Noctis, to which Ravus refuses. Ravus explains that only Lunafreya must deliver the Ring “to inspire the King” and that she must not give in to her waning condition. Returning to the present, Maria remarks on Noctis journey to the Imperial Capital. She also mentions that Ravus has kept King Regis’ glaive and plans to return it to Noctis, though their meeting each other would be difficult. She wishes him well as Noctis takes leave. Head to the train by following the quest marker after speaking to Maria. As you approach the station, a girl will appear and ask you about your marriage to Lunafreya. A scene in the past will show Gentiana and Lunafreya. 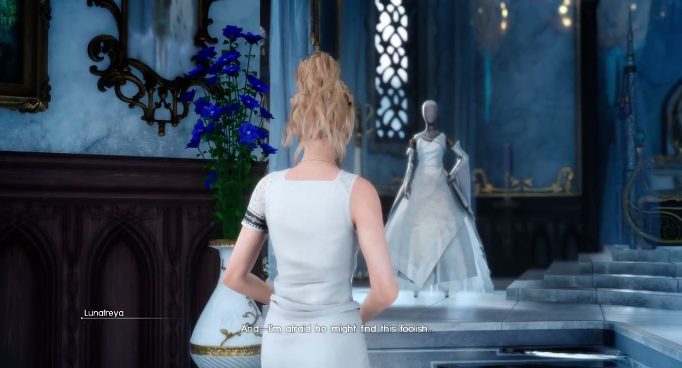 Lunafreya looks forward to the wedding, but only since it will allow her to spend time with Noctis even for a just “a short while”, while admiring the wedding dress made for her. After talking to the girl, continue following the quest marker. Biggs and Wedge will be there so talk to them when you are ready to depart. Before leaving, Aranaea will let the party know that the civilians will be cared for. She tells the party to be careful as they board the train. Before reaching the Imperial Capital, the party’s train will first need to cross the cold Ghorovas Rift where Shiva’s corpse lies. To kill time, move around train. After getting up from the chair, turn around and exit the coach. Inside the next room, look for 1x Elixir before entering the door. Keep walking until you pass the car that contains the bunk beds (with the walls and doors painted red) and head to the next room. Here, you will find 1x Chrome Bit. Head to the next room to find 1x Mega Phoenix, 1x Debased Banknote, 1x Hi Elixir and 1x Rusted Bit. Head to the next room to get 1x Electrolytic Condenser and 1x Gralean Medal of Distinction. Then, head back to the car where Ignis and Gladiolus are staying. When you get there, head to the next room. Keep walking until you pass also pass the car with the bunk beds. Move to the next room to find 1x Mega Potion on top of the fire extinguisher case. After a while, Noctis will receive a phone call and the quest will be completed. A cutscene will begin. The train seems to have stopped, so the party decides to see what was wrong. Once outside the train, move forward towards where the problem seems to be coming from. You will be attacked by four snagas and a wraith. For this group of enemies, it is best to first take out the wraith since it uses strong ranged magic. After dealing with it, start to pick off the snagas.There are also point warp locations to help you when you need to recover HP and MP. After dealing with the first wave of enemies, a second wave will appear. This time, there will be two wraiths, so focus on killing them off first. After the battle, a Deathclaw will appear. This fight will require a lot of strafing and moving around. Pay attention to the Deathclaw’s multi-claw attack. It will do this by extending all of its appendages and then slamming them to the ground that covers a wide radius. The Deathclaw will also occasionally use a fast funnel beam attack or a tail whip so its good to keep strafing as you engage it in close range. Thunder-based magic is also quite effective against it. 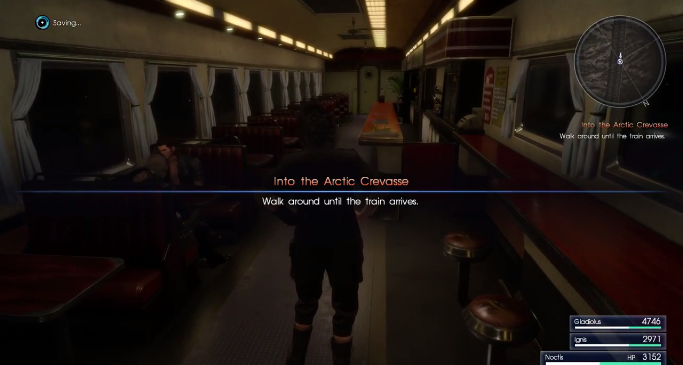 After defeating the Deathclaw, Gladiolus will call you to board the train again. On your way up, you will catch sight of Ardyn. Follow him until you get to the car with strong icy wind gushing in. Ardyn will tell you that your friends on the train are in danger and that you should help them at once. Before Ardyn can continue to torment you and the party, Gentiana appears, revealing herself as Shiva herself. Gentiana will give Noctis the Trident of the Oracle. 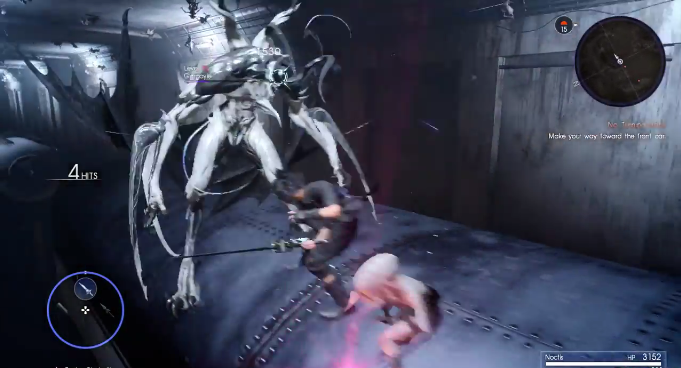 As Noctis touches the trident, a cutscene showing Lunafreya and Ravus arguing will be shown. 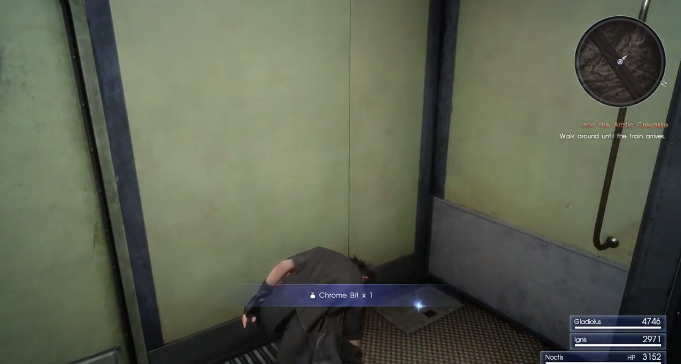 Upon receiving the trident, Noctis charges at Ardyn, frozen by Gentiana (Shiva), and shatters him. You will then receive the 1x Mark of the Glacian. Afterwards, the icy wind will stop gushing. The party eventually comes to. Noctis then sees s a vision of Lunafreya which then quickly fades. Head to the quest marker. You will bump into Ardyn again who supposedly died after his frozen body was shattered by Noctis. 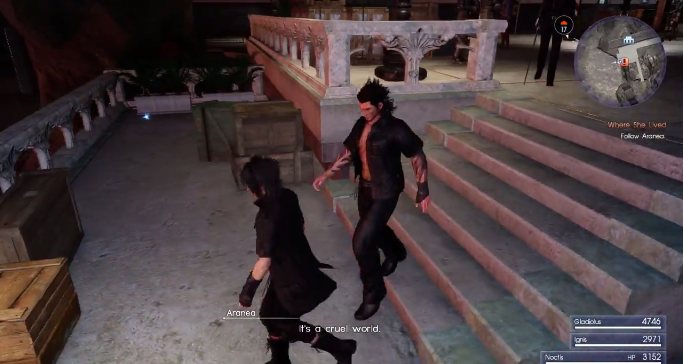 He states that he is in fact immortal and tells Noctis that Prompto is at Gralea before disappearing again. 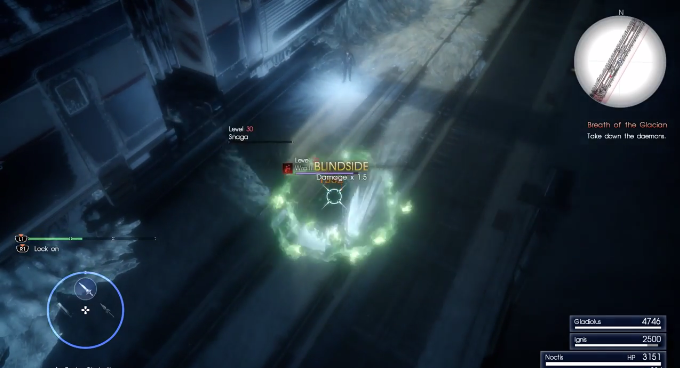 This concludes the walkthrough for Chapter 12 – End of Days for Final Fantasy XV.